Sometimes we just get a bit stuck. Stuck in the same ole routines. The same foods, the same drive to work, the same debate with a spouse, the same TV shows, the same thought patterns. And then we meet someone like Wendy, a seventeen-year-old student from Vietnam studying in America. I met Wendy recently at the nail salon. My neighbor, Edie, and I treated ourselves to a coming-out-of-winter-dryness-and-gross-toenails pedicure. 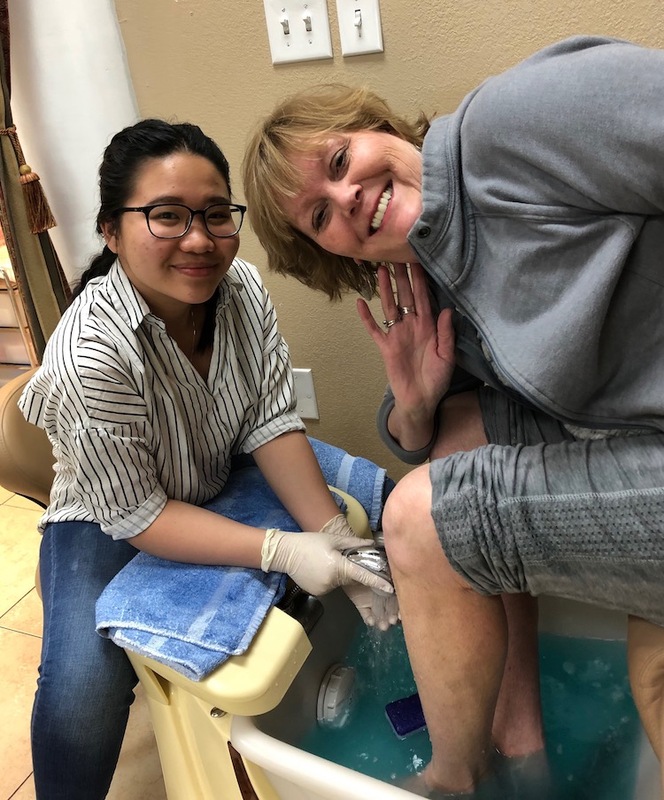 What a delight to get to know Wendy and have her work on my not-so-pretty toenails. Wendy’s English is impeccable, and I at first assumed she was born in Colorado. So, chatty me, I started asking Wendy about her herself as she clipped, filed, and scrubbed my tootsies. Wendy and her parents and almost thirteen-year-old sister live in a southern Vietnamese city. Her father owns a employee recruiting company and her mother works in the baby supply industry. Last year Wendy earned a student visa to study in Colorado and live with her aunt who works at the nail salon. Wendy attends a private Christian school in Colorado Springs and works weekends in the salon. Get out, Wendy! You little daredevil. I love it! I needed a boost from Wendy’s adventurous spirit. Forget the upgrade to my toenails, Wendy infused me with an upgrade to my heart. Do you know what I love about getting out of a rut? Often all you need is to hear someone else’s story and your own tough times or stagnant journey somehow feels less cumbersome. 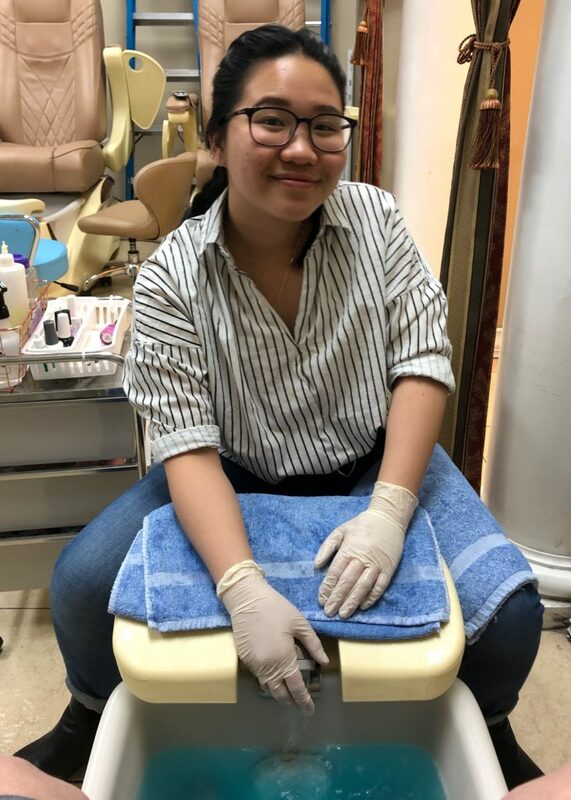 This fun-loving teen from 8,000 miles across the world, is not afraid to move to America, start at a new school, make friends, and learn the nail trade. Wendy is the kind of gal I want to be when I grow up. Spunky. Determined. Courageous. Brave. And unafraid to keep bending and trying when life wants to break her. Wendy has no time for ruts. She’s too focused on the road ahead. She started studying English in second grade and watched hundreds of American films and TV shows to improve her language skills. She plans to get a business degree, and I’m sure start her own business someday. Clipping, filing, and scrubbing strangers’ tootsies are just part of the stepping stones to her bright future. So what about the rest of us? What can we learn from this optimistic teen? If you’re in a rut, look outside yourself and your immediate world. And mix up your terrain with a little thrill ride now and then and be sure to save room for dessert or a dessert drink. Maybe even chug some bobo tea.